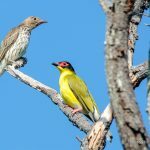 Thala’s Nature Reserve supports many interesting and rare habitats with a constantly changing kaleidoscope of natural wonders, making the experience very rewarding for naturalists and wildlife photographers. Our highly knowledgeable Rangers and Guides are here to show you Thala’s many wildlife and nature secrets. The Thala night sky is free from light pollution and filled with millions of stars. Surrounded by sounds of the rainforest & ocean – enjoy an introduction to the beautiful Southern Constellations from an experienced & passionate guide. View many fascinating stars & planets using telescopes and binoculars at the unique outdoor observatory. On Australia’s only coconut tour, not only do you get to drink & eat from the very young green coconut to the little known ‘Coconut Apple’ – you will also learn the truth about the health benefits of coconuts. The ‘Tree Of Life’ has astonishing advantages from helping to reduce body fat and lower cholesterol, to building the immune system. A tour that helps you lose weight without exercising?! You will be guided through 145 acres of a variety of native flora by Brett and his enthusiastic team. They delight in sharing their extensive knowledge and passion for the environment. Amongst rare Littoral rainforest clinging to the sandy dunes and the soft shade of eucalypts you will enjoy the scamper of native fauna. We have so many exciting plants and animals at Thala. David is our bird and butterfly expert and you will be thrilled at the colour and variety of the species to be found at Thala. An early start to hear the first chorus of Thala’s birds in full song is a wonderful way to welcome a new day. We also have local experts who can take you for full day birding expeditions through a wide variety of habitats. Pick up a Bird Sighting Calendar from the Adventure desk and see if you can add to the extensive number of varieties spotted so far. Elders from our local aboriginal community, the Kuku Yalangi people, come and share their stories as passed on from previous generations including the history of their ancient cultural traditions. You will enjoy seeing and learning the value of bush tucker food, the knowledge of which has been nurtured since the age of the hunter-gatherer. The haunting rhythms of the traditional Didgeridoo is being incorporated into many forms of contemporary music, here it will take you back to the beginnings of the aboriginal Dreamtime. Oak Beach consists of approximately 2kms of pristine sand lined with coconut palms and sheoak trees. Thala Beach Nature Reserve occupies the forest-clad headland at the northern end of this beach. All guests can enjoy this private-access beach. These experiences are available for our guests at an additional fee. Please contact us if you’d like more information. Our expert guide will take you sea kayaking to his secret places to look for marine turtles, stingrays, dolphins and dugongs. The reef adjacent to Thala Beach Nature Reserve is like a turtle highway, with so many turtles congregating for feeding and socialising. Thala’s on-site massage studio has special packages for our guests and provides a range of treatments including massages, facials, body scrubs and wraps. 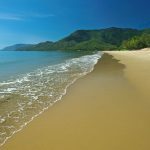 There are many very exciting tours and activities that we recommend ranging from snorkeling on The Great Barrier Reef, safaris into the rainforest to exploring the outback and Tableland region. Contact us for recommendations and more information about tours departing from Thala.